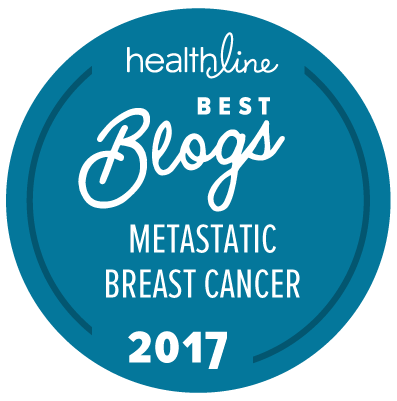 While Nalie was in LA visiting, we set aside some time to make a video discussing misconceptions about stage 4 metastatic breast cancer. It’s a topic we have discussed covering for some time, yet it was a difficult topic for the both of us to talk about. We weighed the pros and cons and decided that breaking the ice and acknowledging the lack of support for women with MBC was really important and needed to be talked about. So together we created this video with the hopes of providing information to educate people about what it really means to have MBC and to provide support and inspiration to others in our shoes. We hope this provides some clarification, breaks down barriers, but most importantly inspires and empowers other Thrivers. Wow thanks for the video. I’m new to mbc just finished chemo and on target drugs every 3 weeks forever and daily pill. Loved the hair growing back your fine move on. Hate also being stage4 to start people think you were not doing mammograms or self exams. Wonderful to find such an uplifting and positive video! You are both such great ambassadors for MBC. You make me want to continue to live large everyday. I’m just one year out and have so many doubts at times, but this has been inspirational. Thank you thank you thank you!!! Lovely video! Was happy after watching it to see you girls together and motivating each other! As you know, I’m your fan from the other side of the world! You HAVE to let me know once coming to Europe and we’ll have to do some initiative together here as well! Thank you for watching and for the support! I hope to make it there one day. In the meantime lots of love and keep thriving!